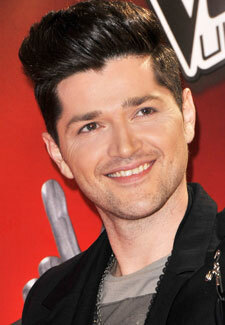 Danny O’Donoghue has been told off by bosses for leaving judges waiting while he flirted backstage. The cheeky Irish judge had his wrists slapped for going AWOL for over half an hour during recording for The Voice. He was apparently found busy backstage flirting with the sisters of one of the show’s contestants. According to The Voice insiders, Danny left his fellow judges and a 200-strong audience waiting while he popped back stage to congratulate Irish singer Conor, 18, on his performance. However Danny got side tracked and he was caught flirting with Conor’s pretty sisters. This isn’t the first time Danny has made a name for himself for being a bit of a ladies’ man. The Script singer was also rumoured to have dated one of last years contestants, Bo Bruce. The Voice is on tonight on BBC at 6:45pm.